A cornerstone for brides from all over the world. 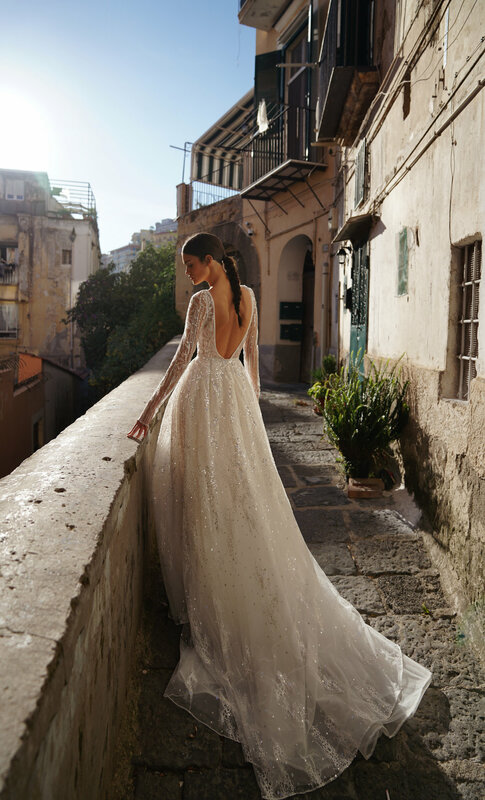 Inbal Dror combines beauty with meticulous workmanship. This stunning collection is sensual and romantic offering a stand-out choice for today`s modern bride. The exquisite fabrics are second-to-none and this collection boasts glamour and decadence in every piece. The soft palette of ivory, vainilla ,champagne serves as a canvas for the exquisite detailing. This season Inbal incorporated the finest European fabrications from layers of silk tulle and delicate mate sequins to unexpected laser cutouts.